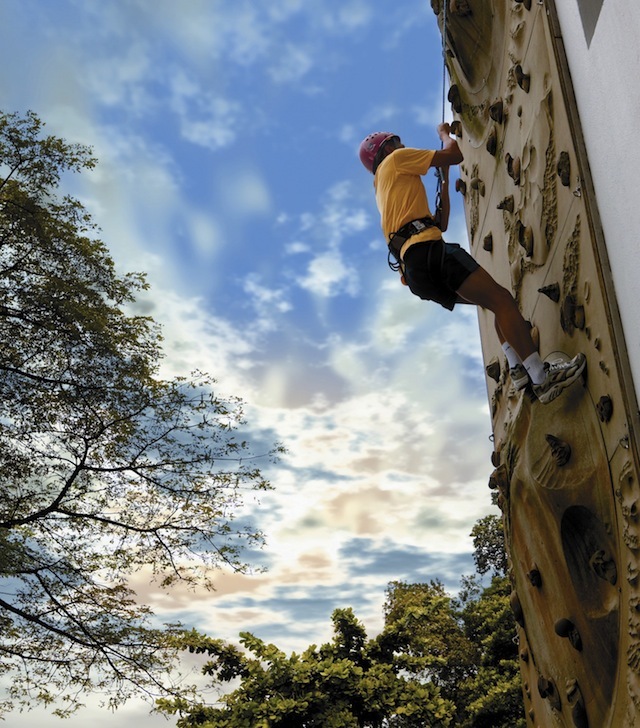 Siloso Beach on Singapore’s playground, Sentosa Island, is the place to experience a myriad of activities. 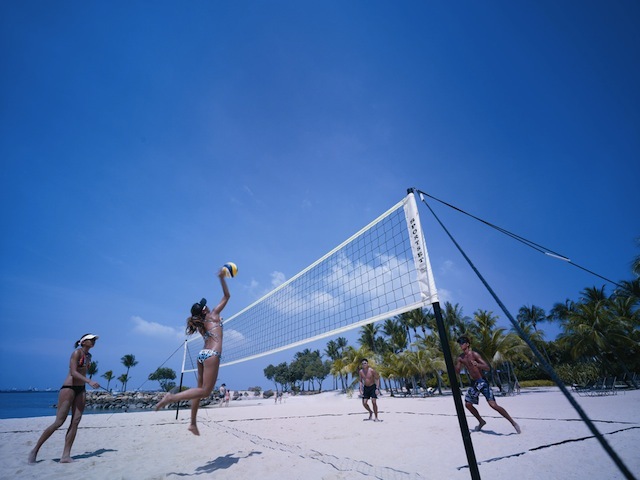 It’s the best beach for volleyball and courts are available free of charge on a first-come-first-served basis. You can also try your hand at skim-boarding, kayaking, or simply soaking up the rays. And although the waters are smooth and calm and great for swimming, you can still catch a gnarly wave at the Wave House Sentosa – a first of its kind in Singapore. If you want to test your fear of heights, then The Flying Trapeze (located next to Trapizza) lets you soar like an acrobat, eight metres off the ground. But don’t worry, you’ll be harnessed and have the assistance of a certified trapeze instructor. 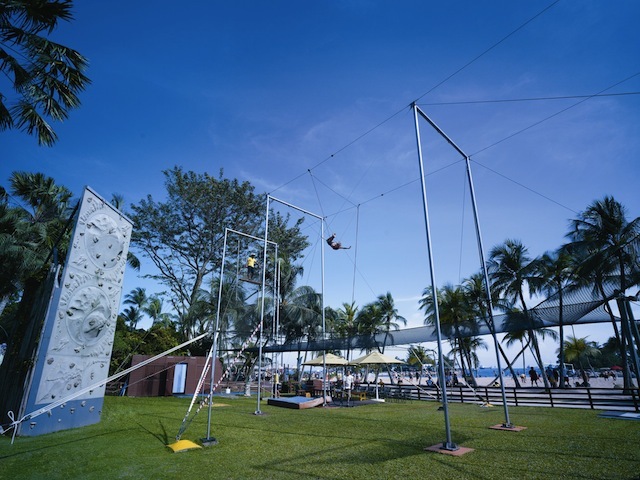 Right next to The Flying Trapeze is another way to get high – the Rock Wall – which is suitable for children over four years of age and less experienced rock climbers.